For 30 years, government agencies and industry have trusted Battelle to solve their most complex chemical and biological defense challenges. Tap our expertise spanning decades and dozens of interrelated scientific disciplines, unmatched chemical and biological test facilities, advanced product design and manufacturing, and objectivity as the world’s largest independent R&D organization. B&W Tek is a vertically integrated advanced instrumentation company with expertise in photonics, laser, spectrometer, and chemometric technologies. Our business spans mobile spectroscopy solutions including a full line of portable Raman and handheld Raman systems, building block spectrometer and laser components for system integrators, and customized solutions for targeted application needs. Our extensive knowledge and cutting-edge technology in the field of spectroscopy has allowed us to focus on solution-oriented products that are designed for mobility for use by non-specialists, provide easy, rapid results in a matter of minutes. ENSCO provides early warning detection systems for civilian, government, and DOD environments, including critical protection systems for CBRN threats, as well as systems integration for all types of CBRN and infrastructure sensors. ENSCO, Inc., and its wholly owned subsidiaries represent a $140 million international technology enterprise, headquartered in the Washington, D.C., area. For almost 50 years, the ENSCO group of companies has been providing engineering, science and advanced technology solutions that guarantee mission success, safety and security to governments and private industries worldwide. ENSCO operates in the defense, transportation, aerospace, and intelligence sectors. Field offices and subsidiaries, representatives and partnerships are located throughout the United States and around the world. The Countering Weapons of Mass Destruction (CWMD) Consortium is the government’s go to collaboration body for carrying out coordinated research and development for rapid prototyping in order to counter CBRNE threats and weapons of mass destruction (WMD). The Joint Program Executive Office for Chemical, Biological, Radiological and Nuclear Defense (JPEO-CBRND) has requirements in the CWMD space and works with the CWMD Consortium which is comprised of traditional and nontraditional government contractors, small and large businesses, for-profit and not-for-profit entities, academic organizations and their affiliates for the purpose of entering into an OTA for prototype projects. Since its inception in November 2017, the JPEO-CBRND and the CWMD Consortium have awarded 38 unique projects valued at over $220M and funded at $68M. Established in 1914, MSA Safety Incorporated is the global leader in the development, manufacture and supply of safety products that protect people and facility infrastructures. Many MSA products integrate a combination of electronics, mechanical systems and advanced materials to protect users against hazardous or life-threatening situations. The company’s comprehensive product line is used by workers around the world in a broad range of markets, including the oil, gas and petrochemical industry, the fire service, the construction industry, mining and the military. MSA’s core products include self-contained breathing apparatus, fixed gas and flame detection systems, portable gas detection instruments, industrial head protection products, fire and rescue helmets, and fall protection devices. 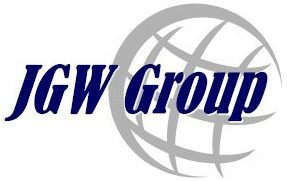 With headquarters in Reston VA, and with team members located in North America, Europe, the Middle East and Asia, JGW have been active in the CBRNE world for over 30 years. JGW provides comprehensive Prototype Development, Training, Marketing and Sales, Business Development, Strategic Planning, Contractual Intelligence, Acquisition Support and Proposal Preparation to meet client companies’ diverse needs. Our CBRNE clients include: Smiths Detection, SEC Technologies, and NUVIA Dynamics. Based in Slovakia SEC is a dynamic company with expertise in stand-off detection. SEC are a trusted partner for customers around the globe when it comes to detection of chemical and biological warfare agents and industrial toxic chemicals from distance. SEC Technologies has developed a working battle-field proven active stand-off detector, the FALCON 4G, for chemical and biological warfare agents. Based in Toronto Canada, NUVIA Dynamics is a world leader in design and manufacturing of turnkey Geophysical & Radiation Monitoring Instrumentation for precise magnetic and radiation measurements in the air or on the ground. Most of NUVIAs systems are installed on moving platforms aircraft and ATVs. 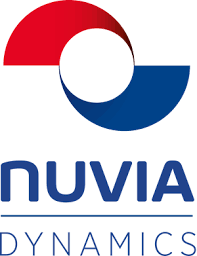 NUVIA targets Defense; Homeland Security; CBRNe; Radiation Detection and Monitoring markets.